Here we go again with an issue of 2000 AD from many years ago. I read it as a kid and I’m reading it all over again now. 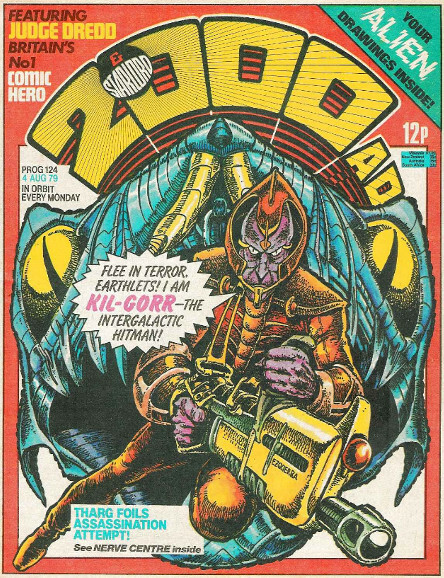 My original copy was most likely given away to a charity shop, with bits cut out and encrusted in peanut butter, so I am actually reading a scan I found on the Internet at a wonderful Wordpress blog that is a repository of old British comic books. What do you think of this week's cover illustration? Zarjaz, is it not? 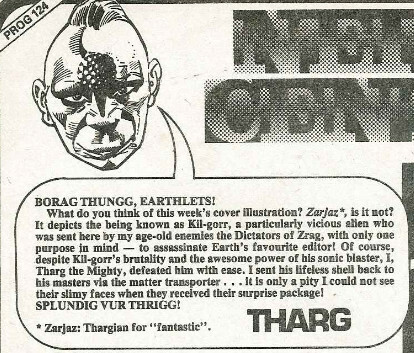 It depicts the being known as Kil-gorr, a particularly vicious alien was sent here by my age-old enemies the Dictators of Zrag, with only one purpose in mind - to assassinate Earth's favorite editor! Of course, despite Kil-gorr's brutality and the awesome power of his sonic blaster, I, Tharg the Mighty, defeated him with ease. I sent his lifeless shell back to his masters via matter transporter . . . it is only a pity I could not see their slimy faces when they received their surprise package! They needn’t have bothered. The first real story presented this week is Judge Dredd, and it is a continuation of an intriguing story about an attack on the city by a cult of Cursed Earth crazies from the badlands beyond its walls. Art duties are taken over this week by Ron Smith, who keeps going up and down in my estimation. Smith’s cityscapes are great, for example. Compared to the blank, abstract shapes that are almost like wooden blocks drawn by Bolland last issue to suggest a city, here you have actual architecture. It looks convincing, futuristic, and detailed. And there are detailed vehicles flying between them. 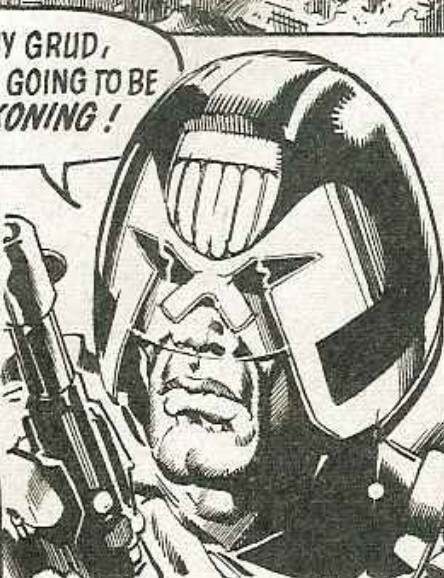 His drawing of Dredd is way too fleshy, though, so I still haven’t made my mind up whether I like his art or not. The story is moving along nicely, with the cult leader within the city by the end of this episode. It is going to be interesting to find out what this guy’s end game turns out to be. I’m not a fan of Disaster 1990! which is the next story, and I have never made any secret of that, but sometimes there are some beautiful images in this story of a flooded London. Here we see people paddling an amphibious vehicle like Vikings. It feels a little weird reading a story featuring a Duck vehicle after what has just happened on Table Rock lake, but I suppose you can’t blame a comic book published back in 1979 for something so tragic. 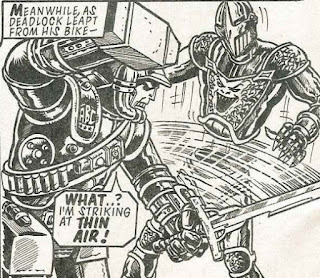 Next we get the duel we were promised last week between Hammerstein and a medieval-style robot called Deadlock. Sadly they have decided to call him the grand wizard of his order, a title with some unfortunate connotations. I didn’t notice this last issue, but it struck me quite forcefully when I read it this issue, and not in a good way. The writer on this story is Pat Mills and something like this really makes me worry about his attitudes to race. The art is done this week by Brett Ewins, and robots are not his strong suit, unless they are a lot more stylized than this. Some of the combat just looks silly, such as Deadlock’s top half coming away from his legs to dodge a blow. 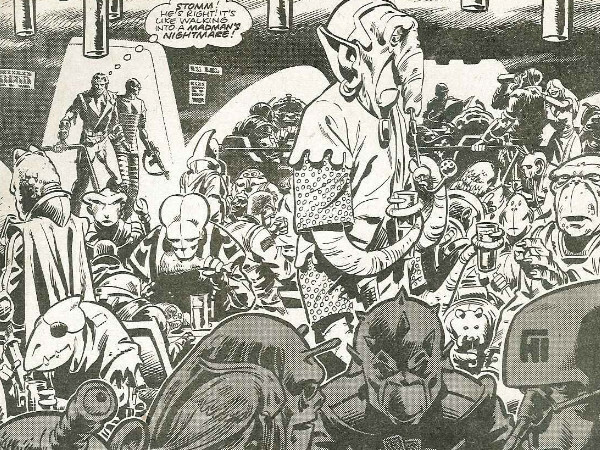 That might look sinister when drawn by another artist, but Ewins just does not bring it off. Next comes Project Overkill, where we see that the project, for who knows what reasons, has access to super-advanced technology like anti-gravity engines. It is a beautifully drawn panel, and the anti-gravity fighters look ominous and threatening. 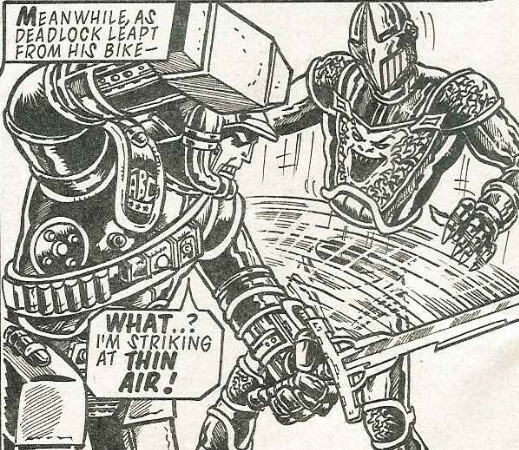 They are both futuristic and unsettling, and the drawing skills displayed by Redondo are mighty. I sure hope all this makes sense when the reveals come. 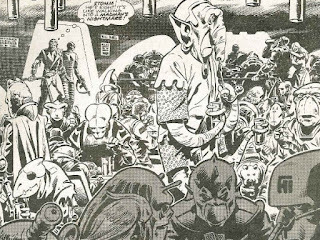 Dan Dare this issue is investigating a drinking den within a hive of villainy, and the influence of Star Wars can be felt very strongly. This episode is drawn beautifully by Dave Gibbons, and the story gives him many opportunities to display his skills. We get a feeling for the size of Topsoil, an artificial world fallen on hard times, and we get to see the way it is decaying, and the fascinating creatures who now inhabit it. 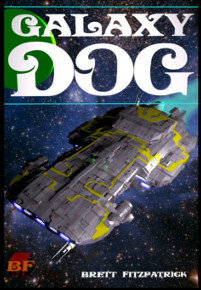 I have seen reading Dan Dare as something of a chore up to this point, but I enjoyed this episode all the way through. We are promised a huge bar-room brawl next time, and I can not wait to see how Gibbons draws it. 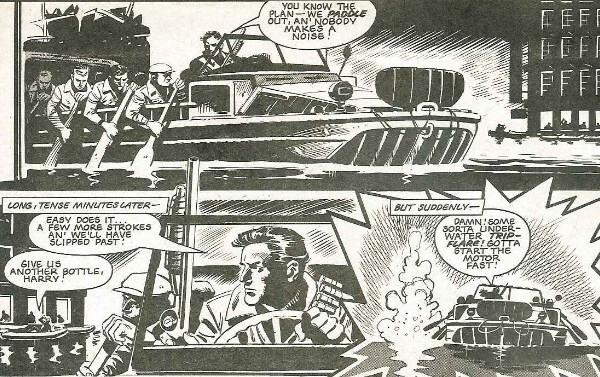 I will even admit that this episode of Dan Dare was my favorite strip from this issue, which I never thought I would say.